Microgaming offers an arguably higher quality experience with more choice and variety. Many people will prefer to play Amaya games on multi-software casinos. At the time of writing this review Intercasino was using the Cryptologic software platform. As of May 2013 Intercasino has switched platforms and now uses Amaya Gaming to power their games; consequently Intercasino is therefore now a no download casino only and offers players a different experience. Note. This change of platform is due to Amaya Gaming’s recent acquisition of Cryptologic. As a Cryptologic customer Intercasino were given the opportunity to modernise their games and allow customers to play on Windows, Mac and Linux machines by using Amaya’s new platform. Amaya is a very credible online and offline gambling technology company based in Canada that is listed on the stock exchange. In 2012 Amaya’s revenue was $76.5m CAD so they are a great partner for Intercasino. Therefore, Intercasino’s good name and excellent reputation of support should remain unchanged moving forward. I have updated the summary information and the categorisation of Intercasino within the site but my original review below will remain unchanged for now. Intercasino was one of the first casinos that I played with online and one of the few that I kept coming back to for the quality experience it provided. Intercasino is the flagship for Cryptologic software and is the best place to play the full range of Cryptologic games. You can play their games in download or non-download versions and you can play test their games before creating an account if you visit their “Free Online Games” section. Intercasino offers a live casino as well as poker through their sister site Interpoker. Since I played on Intercasino over 10 years ago I do feel that other developers have done more to continually develop their software and innovate so where as ten years ago Cryptologic offered an experience that I actually preferred to Microgaming and the other platforms out there I feel like other software developers have moved faster and developed more effectively in the last decade. This is not to say that Cryptologic are not continuing to produce great games but just that I no longer see their games being either as technically sophisticated or as innovative as some other platforms. Their games do remain distinctive and they are definitely worth checking out though. Cryptologic has changed their focus from being a dedicated platform to offering individual games to a range of sites and this means that you can experience many of their finest games on a range of different sites online although may be less familiar with their full range. 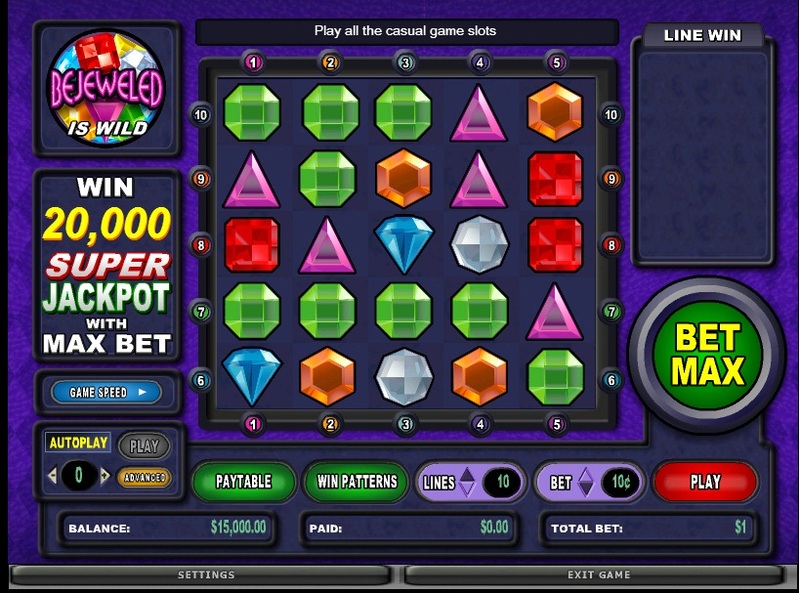 Their interface for playing all table and card games remains excellent and provides the player with a first class experience. 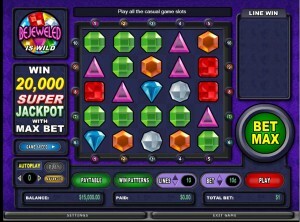 Their slot games offer plenty of variety from Marvel Comic themed slots to casual gaming style slots such as their well known and loved Bejewelled game that is still as entertaining to play today as it was when I first played it at Intercasino over 6 years ago. I particularly like Streetfighter II and some of their other new games too such as Captain Nemo. In Street Fighter they have a free spins feature that plays out like a Street Fighter II game and is good fun as well as providing a nostalgia fix to any fan of the Streetfighter games. I have always been impressed by the customer service and player treatment at Intercasino and they remain a very safe, solid bet in terms of the service and safety that they provide. They go to good lengths to have their software independently audited. Intercasino’s gaming license is in Malta which is ok. As well as a decent sign-up bonus they have consistently sent me some great on-going deposit offers and promotions such as deposit £10 and get £50 free. When I have had issues with my account (mainly around remembering my passwords) they have always been first class. Many casinos focus on an initial bonus and just hope you will stay but Intercasino will continue to constantly provide both great service and also frequent and varied quality offers and promotions. Their initial deposit bonus is a great bonus with a 100% match bonus and a playthrough rate of 15 times deposit and bonus. There are some game exclusions but this is a decent sign up bonus. Now that Cryptologic games are much more available on a variety of sites I feel much less of a need to go to a dedicated Cryptologic site for my Crypto-fix. Also I am reluctant to play too heavily on Cryptologic slot games as their payout rates tend to be slightly worse than what other software games offer. They remain a great site to play on but many people with prefer either the depth and quality of Microgaming or sites like Bet365 and Paddy Power Casino that offer Playtech casinos as well as games from Cryptologic and other software providers such as IGT. Intercasino though is a great place to visit to check out their video poker, card and table games if you like their software and set up then their slot offerings and tournaments make great diversions. If you are interested in their live casino then you can visit the live casino and you will get to see live feeds to this casino and get a very quick sense of what the dealers are like and how the system works. To me Live Casino’s may well act as an excellent introduction to experienced Brick and Mortar Casino lovers who are unsure about Random Number Generation and other such issues and want to make a more gradual transition into online gambling but for me they represent the worst of both worlds, they lack the sociability and excitement that comes with live play but is much slower and inflexible compared to standard online casino games. Intercasino succeeds in providing an excellent gaming experience with great customer service and good personalised and on-going bonuses and promotions. Now that they are licensing their games on an individual basis to other casinos many people will prefer to play their games on sites with greater choice and variety than a dedicated platform that is not Microgaming is able to offer but this does not take away from the quality of the experience that the casino provides.